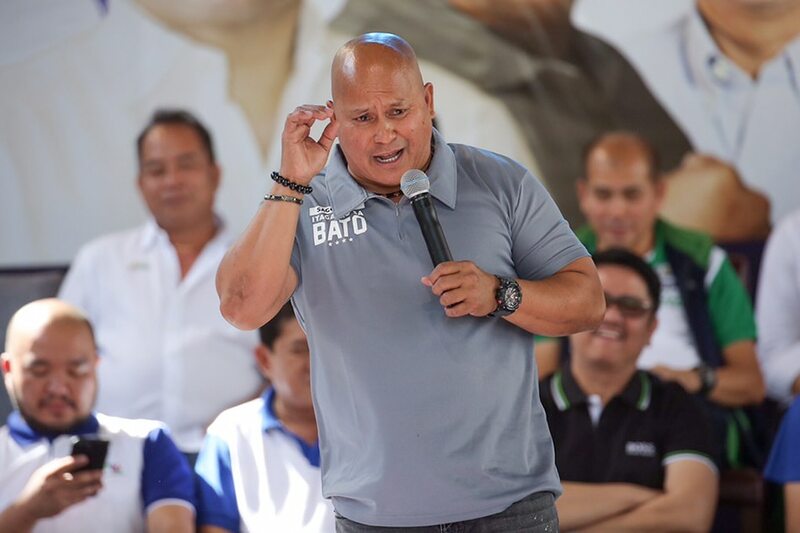 MANILA - Former police and corrections bureau chief Ronald dela Rosa on Tuesday chose to be straightforward as he launched his campaign in the senatorial race. “Ako si Bato, tumatakbo sa pagka-senador. Wala akong maipagmayabang sa inyo, wala akong kayamanan, wala akong experiensiya sa pulitika. Pulis lang ako,” Dela Rosa said in his speech at the launch of the slate of administration coalition Hugpong ng Pagbabago. Dela Rosa, as the first police chief under Duterte, fired the opening salvo in the government’s controversial war on drugs, resulting in thousands of deaths. Though critics and opposition slammed Dela Rosa for the mounting drug war killings - both by the police and suspected vigilantes - supporters were still endeared by the then police chief’s charisma and jovial nature. He has many times defended the war on drugs and supported the restoration of death penalty for big-time drug traffickers, as well as the lowering of minimum age of criminal responsibility. While his support for the lowering of the minimum age of criminal liability attracts criticism from rights groups, Dela Rosa believes it is actually for the benefit of the youth. “Kayong mga kabataan (to the youth), you are the reason why Duterte declared war on drugs. He wanted to save the future,” Dela Rosa said.